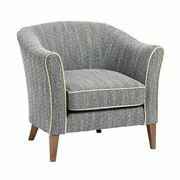 Tub chairs are so called because of their semi-curved back and solid arms. 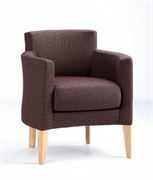 This design makes them the perfect chair to sit and relax in while watching tv or reading a good book, whether this is at home or in a care home. 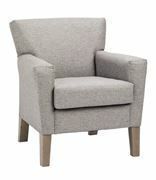 If you are looking for low back or side chairs, our care home tub chair range has the solution for you, coming in a range of modern to classic designs. 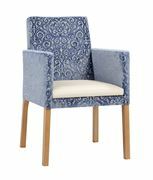 Tub chairs supplied by Renray Healthcare come in a variety of fabrics and finishes so that you are able to match the design perfectly to your care home décor. It is important to make sure that care homes are aesthetic, homely and comfortable for residents, which is why our tub chairs make a great addition. 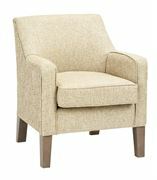 Due to their versatility they can fit well in any care home room, from reception seating to the living room. 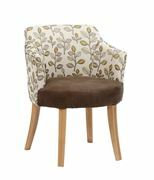 The upholstered seats are filled with soft foam providing excellent durability and comfort, and some of the chair cushions are detachable making them easier to clean and maintain. 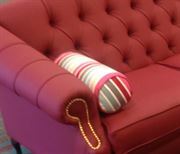 To compliment the classic tub design, why not try a dual fabric option; vertical striped fabrics will 'work' the outside edges, whilst a more practical faux leather\vinyl would add a practical finish to the seat cushion and arms. With over 50 years’ experience, we have an advantage when it comes to ensuring that not only are our tubs chairs exquisitely designed but they are also incredibly comfortable and made of the highest quality materials. 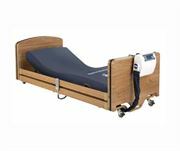 Please call us 01606 593 456 or email us at info@renrayhealthcare.com for any more information about our tub chairs that you might need.